If you are looking to spend winter holidays then Turkey is the best place which offers you with diverse range of options to choose from. It is one of the best places to visit in world because of the scenic views and strong historical perspective. People from all across world flock to the country specially in Summers. But if you want to really enjoy the most authentic and beautiful experience then you have to Visit Turkey in Winters. Winters in Turkey is a full of surprise as it provides totally different scenic view of this beautiful country. Contrary to popular belives, the country offers way many activities in winters from skiing to hot air balloon ride. It has beautiful snow traking sites and Museums which are open all across the year. It not only offer cheaper rates due to lesser crowds but it also has amazing winter activities. Istanbul is one of the country’s largest city and major hub of politics, business and tourism. It has many historical sites which have been classified by UNESCO are the heritage buildings. The places like Grand Bazaar and Spice Market gives you a flavour of shopping in Ottoman Era. During winters, you will enjoy the Christmas and Newyear celebrations with hint of snowfall. Newyear happens to be one of the most celebrated events in this country and if you are visiting the place around that time then surely you are going to witness amazing fireworks. But one advice, do not forget to pack clothes accordingly as winters in Turkey are cold. What best way to enjoy winters in Turkey then sailing across the sky of Cappadocia and enjoying the unique landscape covered in snow. This city which is set in the central Anatolian region of Turkey blossoms with green fields and trees in the summers, whereas in winters it is covered in snow giving a stunning lunar like landscape view. The tourist traffic is less in winters which makes it epic time to enjoy the area in depth. All the activities are open all across year with addition to winter fun. The most recommended activities in winters are Skiing, Ride in hot air balloon and Tour of Goreme Open Air Museum. Each corner in the city tells a story from ancient times. Dont forget to book a room in cave hotel with a built in fire place. For skiing you can visit Mount Ercives which is considered one of the major skiing destination in Turkey. Ephesus is one of the most visited cities of Turkey and it remains an active tourist hub even in Winters. This place is famous for cruises docking in the coast of nearby city of Kusdasi. Although the cruise traffic is almost nill in winters but tourist still fly in to enjoy the famous ruins in the quiet winters of Turkey. You can explore the ancient ruins of this landmarks from both Byzantine and Roman empire. The most significant monuments are Clesus library, old theatre, Roman bath and many more things. You can also visit Saint Johns Basilica, the Isa Bey Mosque of Selcuk and the Temple of Artemis which is one of the seven wonders of the ancient world. There is also belivedly house of Virgin Mary on the hills of Selcuk. Winters in Turkey offer best month to view these historical places without much crowd and you can explore the grounds for hours alone or with your guide. Antalya region is famous for many coastal restorts which are closed during winters but the city itself is very vibrant and active. It is one of the warmest region in the winters and many tourist come soaring towards the city to enjoy the shopping malls, bowling alleys and night life. The city is also open for history lovers with the doors open of ancient cities of Aspendos and Thermos. Archaeological Museum is one of the best museums of Turkey. People interested in outdoor activites can also head to summit of Mount Tahtali whose peak is sometimes covered in snow. You can travel up their in cable car and enjoy activities like paragliding, skiing and trekking. Turkey is famous for Whirling Dervishes and its connection with sufism. This masterpiece is intangible heritage of humanity. The soulful spinning with orchestra and chanting is truly a mesmerizing spectacle. In reality, this dance actually is connected with the form of worshop. This whirling symbolises the universe and connection with the God and people. This ritual is part of Sema ceremony which is followed by the Mevlevi Order in Islam. This order was founded in 13th century by mystic poet named Jelaledddin Rumi. He spent majority of his life in this city and left the world in midst of 1273. 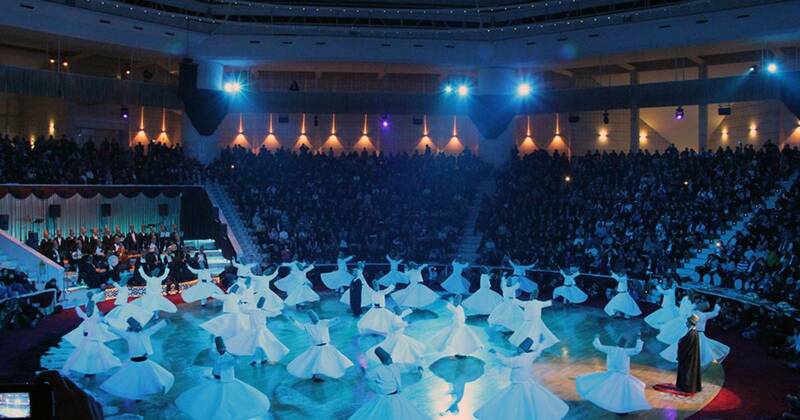 In order to celebrate the connection, million of visitors gather together in mid December in Festival of Whirling Dervish in Konya. Irrelevant of religion, people from all faith and backgrounds spread message harmony, peace and love. This blog is surely meant to give you things which can do in winters in Turkey. Turkey has been one of the famous destination by photographers, historians and tourist. You can enjoy range of activities in this country in all seasons. I’m sefat, from Banagladedh. I wnat to know some information for February 2019 tour package in Turkey . Have you any Turkey tour package for February 19, 2019 to February 27, 2019? We see that you are already in contact with our tour operator and she will do her best for your needs for Best Places To Visit in Turkey.